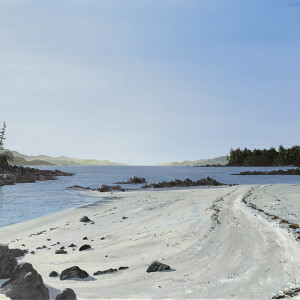 Fury Cove is just off of Fitz Hugh Sound on Penrose Island. This anchorage with its white sand beaches has been used for years by recreational cruisers as well as commercial fishermen. 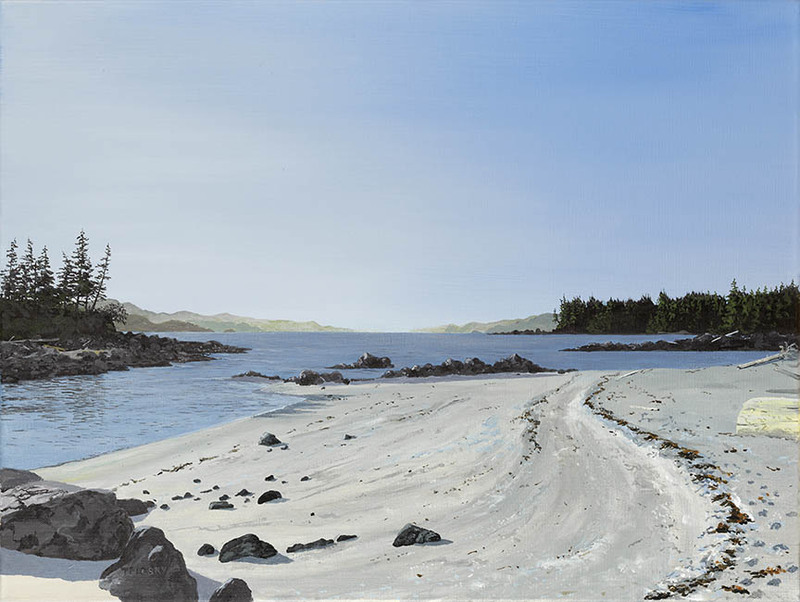 In the background of this painting highlighted by the rising sun is Fitz Hugh Sound and the treed hills on the left is Calvert Island. 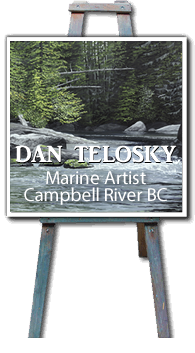 Dan passes through this area every summer while cruising the BC coast.